Guided tour exclusively with your family or group of friends or Business Partner. Tailormade trips according to your wishes and needs. Enjoy a Presentation on Everest Climb for your Special Event. Enjoy a guided hiking trip near Vienna in the Austrian Alps with Everest Climber Josef Hochmeister. 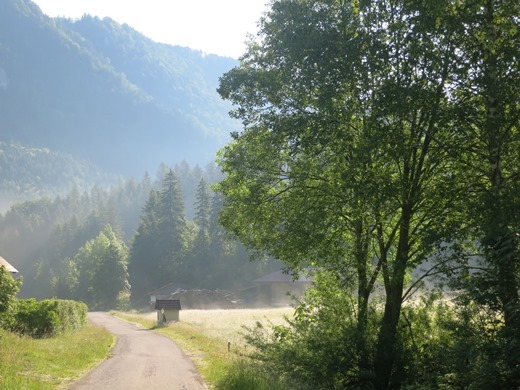 A one day excursion with an experienced hiking guide will allow you to enjoy hiking in the eastern parts of the Austria Alps without lodging, returning to Vienna in the evening. 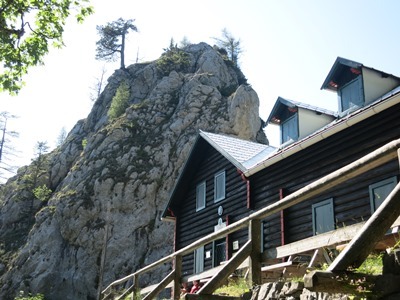 Are you looking for a few days out in the mountains to trek from hut to hut or for one of the peaks further away from Vienna? 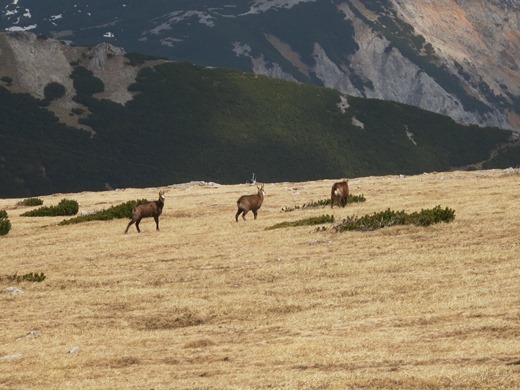 Or you want to trek on one of the famous austrian pilgrimage routes across the Lower Austrian Alps? 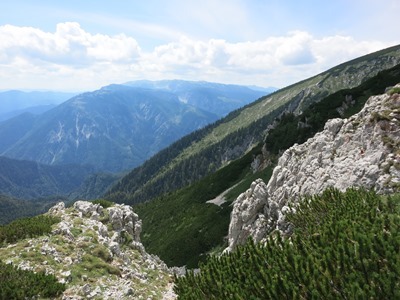 The options for multiday trekking trails and trekking peaks of varying difficulty in Lower or Upper Austria, Styria or Salzburg are enormous and offer everything from relaxed hut to hut trekking to challenging “High Trails” and Trekking Peaks. 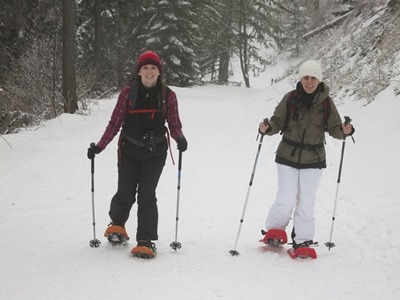 For everyone in search of the silence of Mother Nature away from the busy ski slopes, snowshoeing is the ideal alternative. 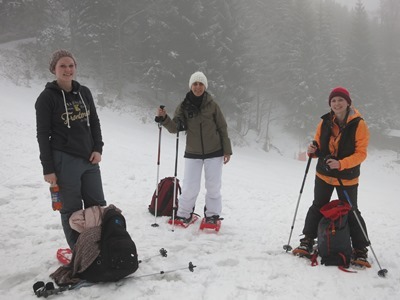 Expert tips from an experienced guide will help you to navigate the deep snow as you use two modern, lightweight snowshoes and two poles to trudge through the winterwonderland. No experience necessary and only 90 minutes away from Vienna. In April/May 2013 I completed the challenge to climb the World’s highest mountain, Mount Everest (8,848m), summiting at 7.15am on May 21. Presentations center around the climb with stunning Pictures and Vidoes as well as interesting personal stories and impressions. For Corporate Events the author takes the audience through the three phases of accomplishing a challenging Goal: Preparation, Execution and Overcoming Adversity. Get out of the City on one of our next scheduled Group Trips. Hiking the Austrian Mountains just 90 minutes away from Vienna with Pick-Up and Drop-Off just 10 minutes from the City Center. For my current trips and availabilities, please visit my profile on MyBaseCamp. 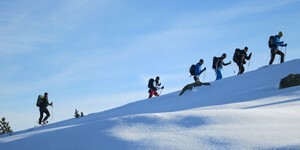 We started from Losenheim up to the Fadensattel where the fog finally cleared for a perfect snowshoetrip. On our way back, we had a rest stop at the lovely Edelweißhütte where the Canadian Girls finally enjoyed their well earned “Apfelstrudel”. Snow was coming late this year, so start of the season was only on January 2. We had a long and excellent trip to the top of Kieneck and Unterberg with a lot of scenic views on our way. Left: Magda, Doris and Ewald enjoying the wonderful view on Schneeberg, Rax, Hochschwab, etc. from the top of Kieneck. Wonderful round trip starting from the Höllental (“hell valley”) ascending around 1500 m directly to the highest peak of Lower Austria, the Klosterwappen at 2076 above sea level. Long way back the next day after enjoying the hospitality of Fischer-Hut just 15 minutes from the top. 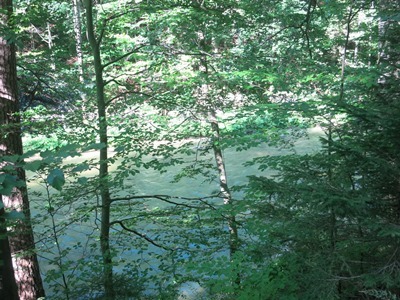 We startet our trip from the idyllic river Schwarza near Weichtalhaus, which is closed unfortunately until 2015, and scrambled up the Weichtalklamm, a scenic gorge ascending from the River Schwarza at around 600 m above sea level to around 1200 above sea level. From there it´s only about 30 minutes to Kienthaler-Hut. 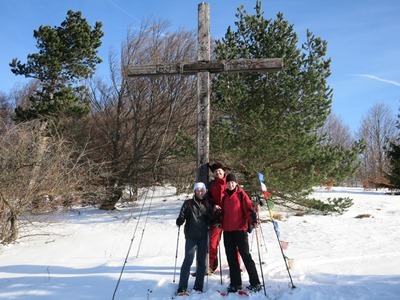 Wonderful trip on the famous Viennese pilgrimage route to Mariazell. With almost no other people on the trail, a lot of time for contemplation and enjoying the beautiful Austrian Lower Alps. Very Long day 1 with almost 60 km across the Wienerwald and with a visit to the famous monastery of Heiligenkreuz and a steep final ascent to the hut on Kieneck in almost perfect weather condition. Day 2 were another 36 km through the Lower Alps in changing weather conditions to St. Ägyd crossing a few passes along the final day 3 (28 km)was rather leisurely walking in perfect weather conditions after having climbed the “Gscheid” in the morning. 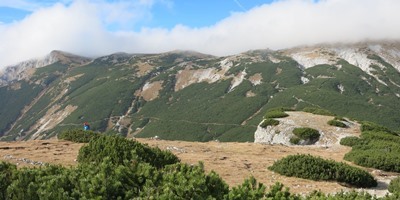 Perfect trekking away from the crowds which you find on some other famous pilgrimage routes. Perfect hiking conditions on our trip to Raxalpe. An extraordinary nice and quiet day on the often busy Rax. 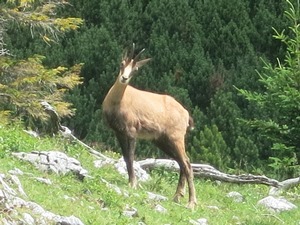 We only had to share the plateau near Karl-Ludwig-Haus with a group of chamois.